Before her injury, Kylie was really into sport and keeping active. She played football, rugby, and took part in show jumping too. When she was 18, she sustained a C5/C6 spinal cord injury. Despite this high-level injury, Kylie was absolutely determined to get back into sports and keep fit. While she was recovering from her injury at Stanmore spinal centre, Kylie received a visit from Back Up. 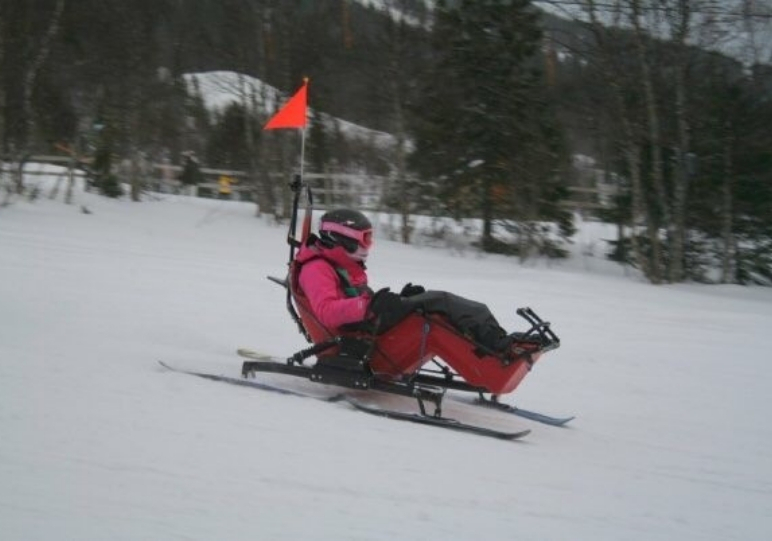 After discovering her passion for sport, we suggested that she apply for our Sweden ski karting course. “Skiing with Back Up was amazing. I had never skied before my injury, so it was something totally new to challenge myself with. Doing this course when I was fairly newly injured was wonderful too, because it helped me realise anything was achievable. When she left hospital, Kylie began training full-time with London Wheelchair Rugby Club. She went on to represent Team GB in rugby and athletics in two different Paralympic games. Of course, you don’t need to be a Paralympian to stay healthy. Kylie recommends that every wheelchair user should maintain an active lifestyle. By looking after her physical health, Kylie is able to be much more independent. Exercising and playing sport makes transferring between chairs, getting dressed, and bathing “much easier.” Through looking after her physical health, Kylie also sees the benefits in her mental health. “Sport has helped me my whole life, and that hasn’t changed after my injury. It taught me to be mentally tough, which helped me massively by keeping me resilient. For Kylie, one of the most healing parts of staying active comes from socialising. Just like when she came on the Back Up ski course, surrounding herself with people who can understand her experiences does wonders for her health. For any spinal cord injured individual, she recommends they find a sport they’d like to try, and then find something local and go regularly. If you need help finding adaptive sports in your area, take a look at the UK Parasports website. 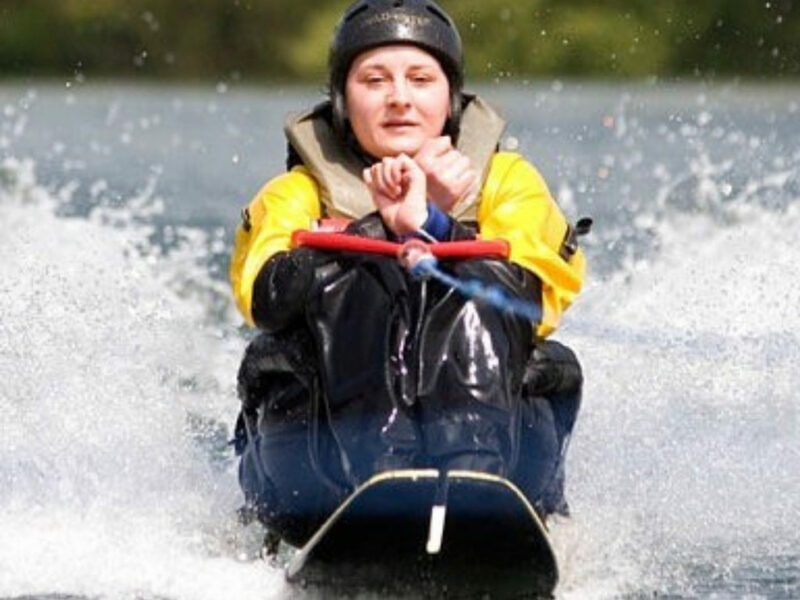 To learn more about our ski course and other life-changing opportunities, visit our website.